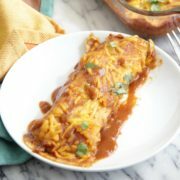 Vegetable Enchiladas - Eat. Drink. Love. Oh, look, I made you enchiladas! I know it’s shocking since I never always talk about my love for enchiladas! 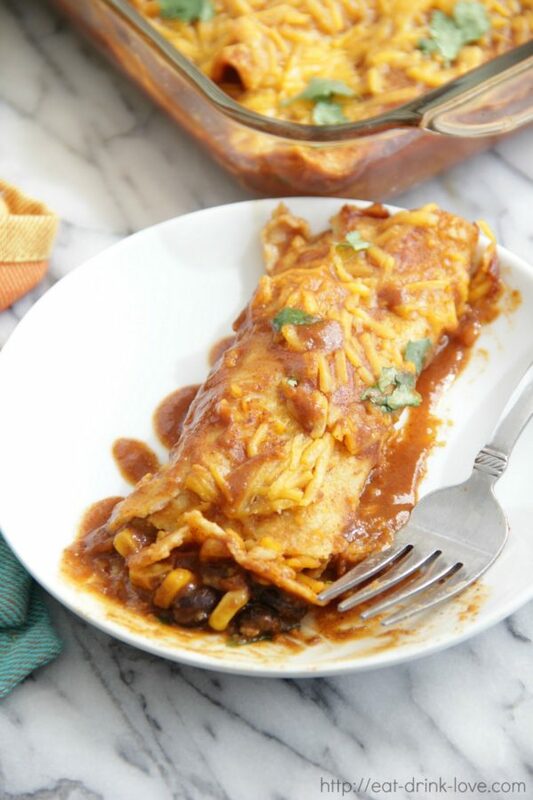 I’m all about the veggies lately and these enchiladas are loaded with them! 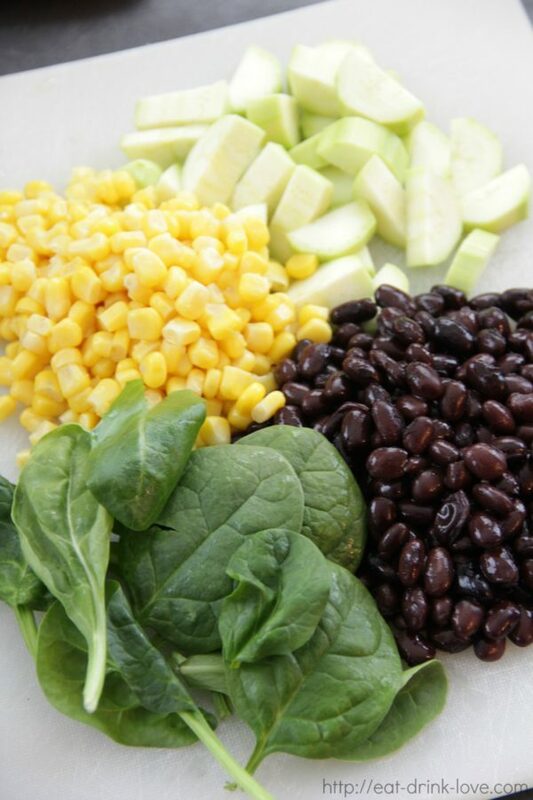 Lots of zucchini, spinach, black beans, and corn. 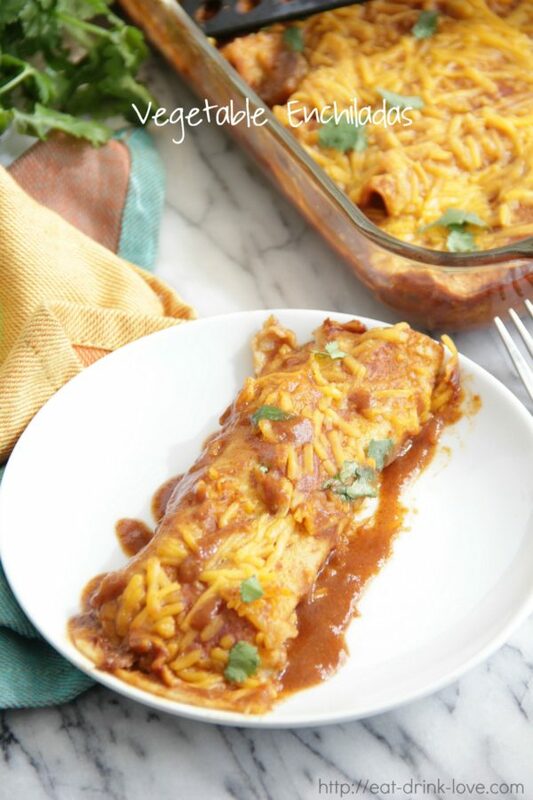 Covering your veggies in enchilada sauce and cheese is truly the best way to eat your veggies. The veggie filling is really simple and only takes a few minutes to prepare. I seasoned them with some cumin and chili powder. Then all you have to do is spoon it into the tortillas, cover with sauce and cheese, and bake! I prefer to use corn tortillas for my enchiladas as corn tortillas are more authentic, but if you prefer flour tortillas, feel free to swap them out. And as always, I highly recommend making your own enchilada sauce. My homemade red enchilada sauce beats any canned sauce I’ve had and is also pretty simple to make, but use whatever sauce you prefer! 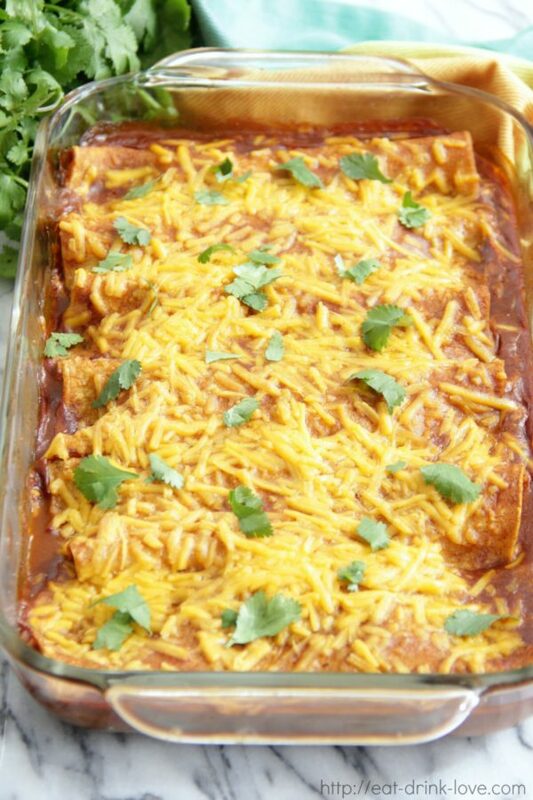 Oh, and since I’m in full sleep-deprived newborn mode, I also want to mention that these enchiladas also freeze well if you want to prep them in advance. Follow the steps up until you bake them and freeze. When you are ready to eat them, just thaw them for a bit and bake! 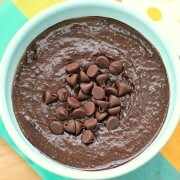 A super easy meal to make for your family or a friend! Heat the olive oil in a skillet. Add the zucchini, corn, and black beans to the pan and saute for 2-3 minutes. Then, stir in the spinach, garlic, and the spices. Saute for another 3 minutes until the spinach is wilted. Remove from the heat and set aside. Preheat oven to 375 degrees F. In a baking dish, (I used a 9×11), spread about 1 1/2 cups of enchilada sauce on the bottom of the baking dish. Wrap the tortillas in a damp paper towel and heat in the microwave for about 1 minute. 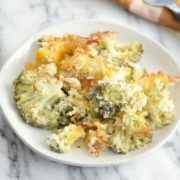 Take a warmed tortilla and spoon about 2-3 tablespoons of the vegetable mixture down the center followed by 1-2 tablespoons of cheese (I use about 1-1 1/2 cups of cheese for filling), roll the tortilla tightly and place seam-side down in the baking dish. Repeat with remaining tortillas. Pour the remaining sauce on top of the enchiladas followed by the rest of the cheese. 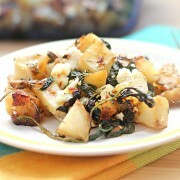 Bake for approximately 18-20 minutes or until bubbly and the cheese is melted. Serve.